We wanted to go to the start but somewhere there was written that the road that takes to the Toussuire would have been closed from eleven in the morning. Two hours before the start, eight hours before the passage. Impossible things, that someone not even if paid would go up for fifteen kilometres and then back down for other fifteen. Someone goes up by bike, it takes less. I want to see the climb, the start is just delayed to tomorrow. Concerning to a strange Tours map they will pass through here twice. We’ll discover just lots of hours later that the only passage it’s the one at five o’clock. Before the arrival. Eight hours of waiting are a lot. But nothing will be like starting to ride the bike under the sun of one and a half in the afternoon. Is strange how, even here, among the children who jump and the guys that go up without the t-shirt and the backpack full of beers, I keep thinking that the cycling takes close to itself too many people that don’t love it. That don’t truly love it, I mean. Appearance. All its sons. However the soul of everything always stays in the people that go up kilometres to see the passage, of course not in those that have the band on the car and the pass for the privè. The cycling is like the life, in the good and in the bad. Maybe is this that permits to think of these guys as entrainment machines. You stay in the fence, and I feign to protect you from the people, from the mess, from all the ones that would like to touch you. But instead you are the entrainment animal. Just the ones that I want can touch you. No poetry in this, it’s not said that everything is always good. There is that when there isn’t the fun so every man for himself. 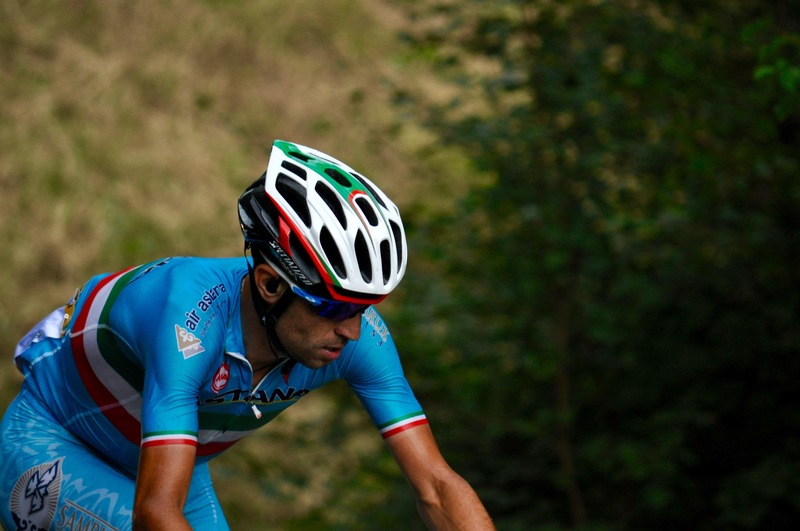 It happened to Vincenzo Nibali. Adored and denigrated. The mountain saved him, the mountain in descent, the most dangerous. He took his strength out of this Alps that gave him courage, maybe. Of the people that were shouting Vincenzo with all the accents. Near me there is a woman with a peach-colored dress and a Sprite in a hand. When Vincenzo comes she says Alè, Alè as a mother would say. And so she does with everyone. Bon courage. Courage! To everyone without forgetting of one, with the same kind voice, where the “r” rolls sweetly. The Sprite is replaced with a bottle, someone threw it to here. It’s a mute language between the cycling and the supporter: you wait for me and I give you the only thing that I can give you at that moment. Now there is the fresh air, it rains in stops and starts, the sun disappears and reappears among the clouds grasped to the heaps of the mountain. Is the afternoon’s sun, it doesn’t bother you. Vincenzo hasn’t arrived to the top yet and everybody already praises his rebirth. Is typical of us. That would everything perfect and aren’t used to see the beauty anymore. Bon Courage, guys, this Tour is almost finished. There is tomorrow and then Paris. Bon Courage, Vincenzo. 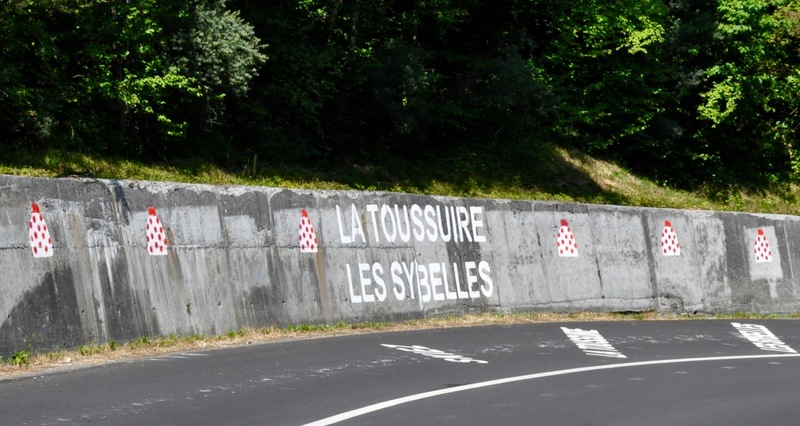 There was a little Italian bend on the road to the Toussuire and we have been proud to shout your name. The rest doesn’t really matter. You don’t enjoy it with too much fatigue but with too much heart. The one that is needed for attacks like this. Vincenzo, the Alps are yours again.